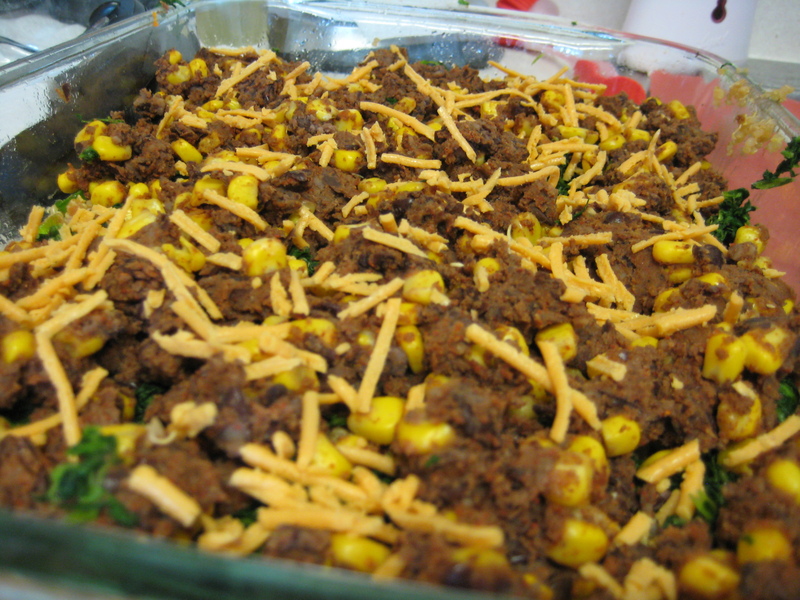 I think you could make this casserole with just about any veggies you have on hand. I might try it even with a marinara sauce on the top next time. The texture and flavor of this was great! Especially the next day after the flavors have mingled. I love how the chickpeas are mashed, it makes the casserole have a rich texture that doesn’t seem like you are eating legumes (even though I love legumes, this change was a nice way to eat them). 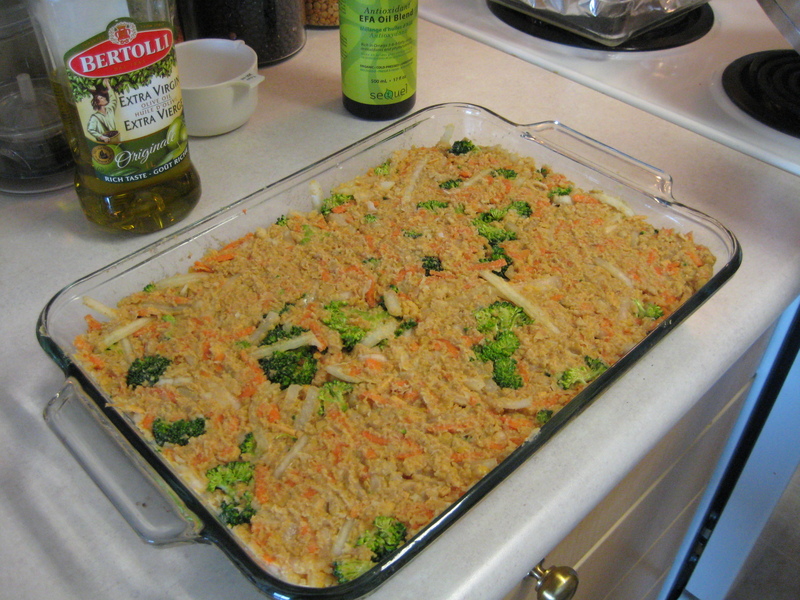 I came across the recipe for chickpea and broccoli casserole posted on the Vegan Mama blog. 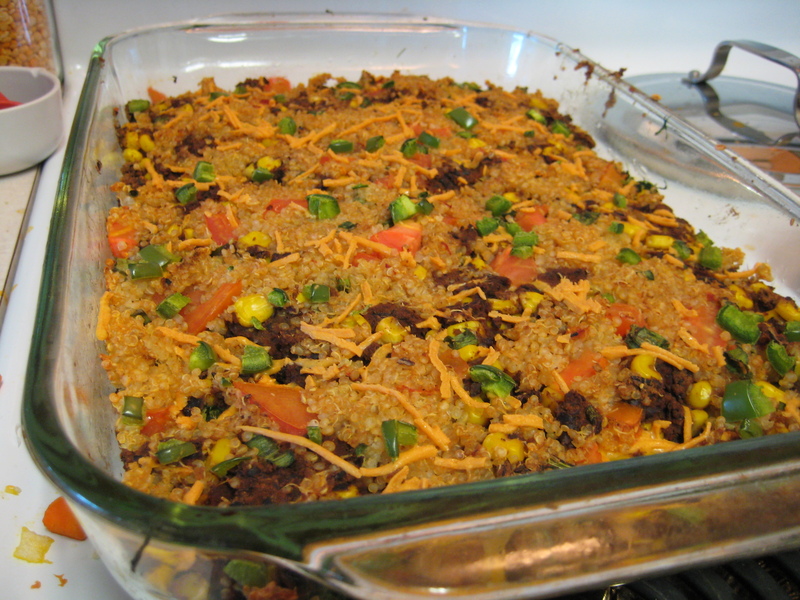 A bit of Daiya vegan cheddar cheese mixed into the body of the casserole. 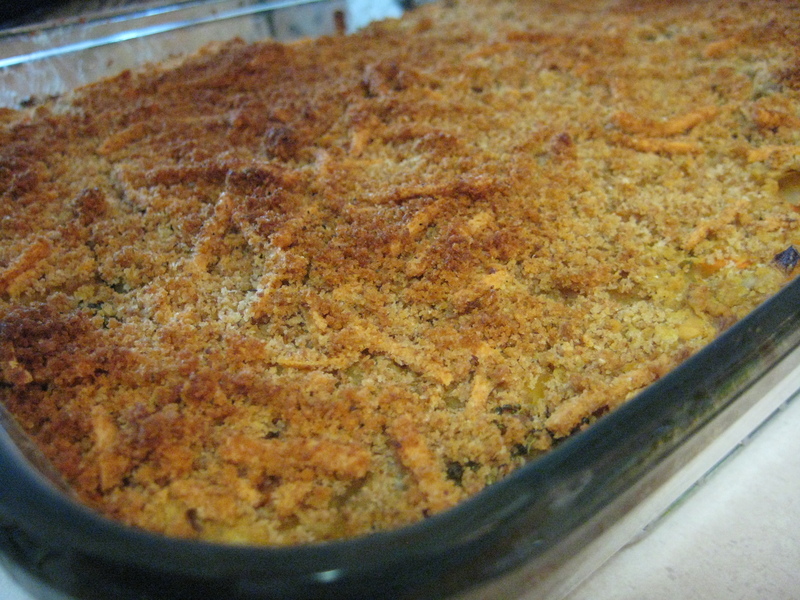 I also made a crumb topping–which I highly recommend–made of melted Earth Balance vegan butter combined with whole wheat bread crumbs and a little Daiya vegan cheddar cheese. I don’t know the amounts–sorry–but it’s pretty easy to eyeball and probably largely suited to individual taste, anyway. 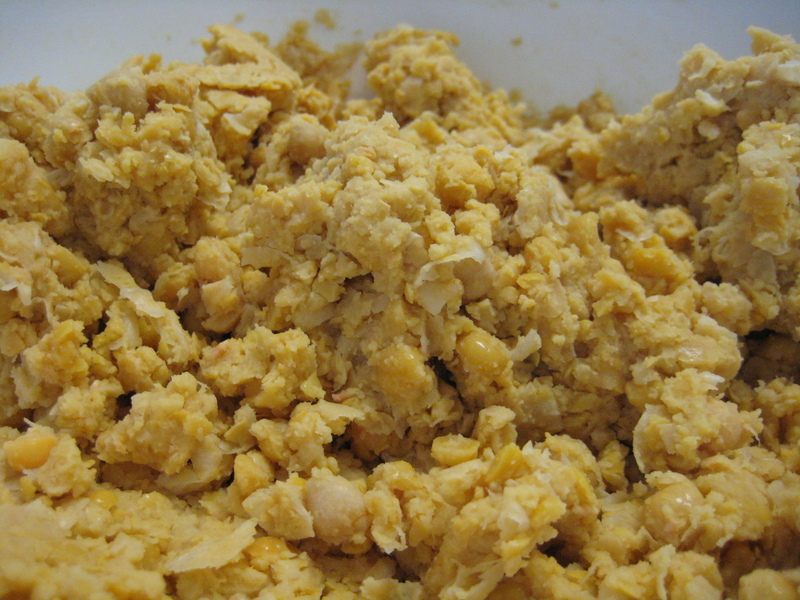 In a large bowl, mash the chickpeas well, using a potato masher or firm fork. It takes about 2 minutes to get the right consistency. Add the vegetables and mix well. Add the bread crumbs and mix; then add the oil, and mix again. Finally, add the vegetable broth and salt, and mix one last time. 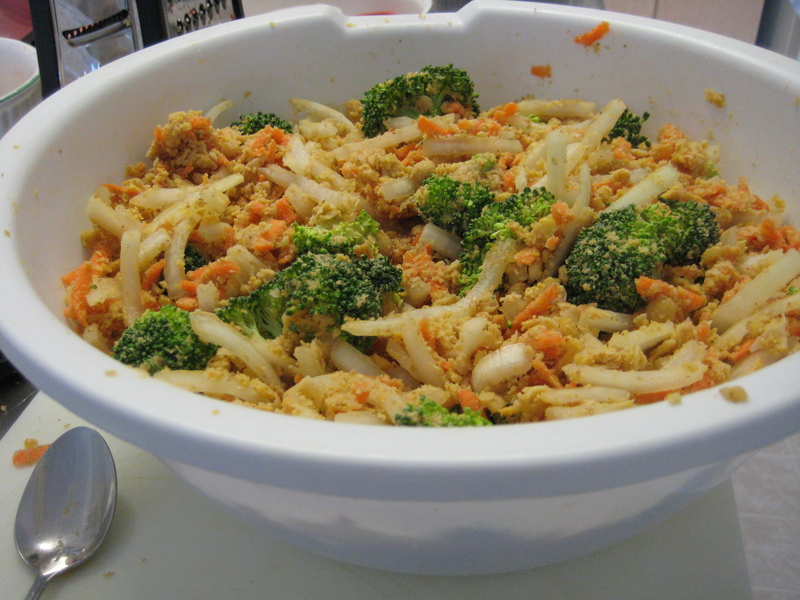 Transfer all ingredients to a 9 x 13-inch casserole dish (preferably glass or ceramic). Press the mixture firmly into the casserole. Top with crumb topping of whatever you like. Bake for 1 hour. This dish is easy, low in calories, and packed with nutrition. It’s also tasty and versatile – just add whatever other Mexican flavors you like to it! I had leftover green onion and jalapeno to use up that was already chopped up from other recipes, so I added this to the recipe as well. I got this recipe off the Daiya website. Coat your favorite casserole dish with olive oil or non-stick spray. In a mixing bowl, combine cooked quinoa and tomatoes, set aside. 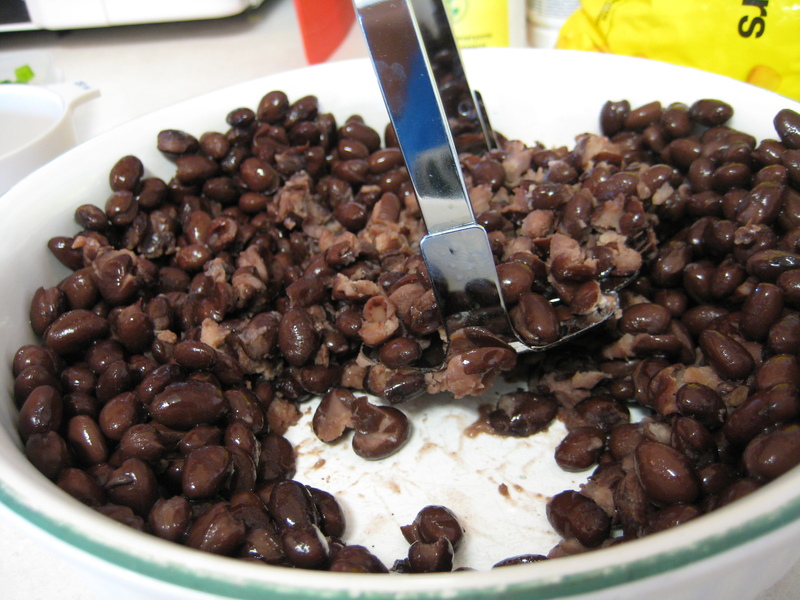 In a separate bowl mash the black beans with a fork. 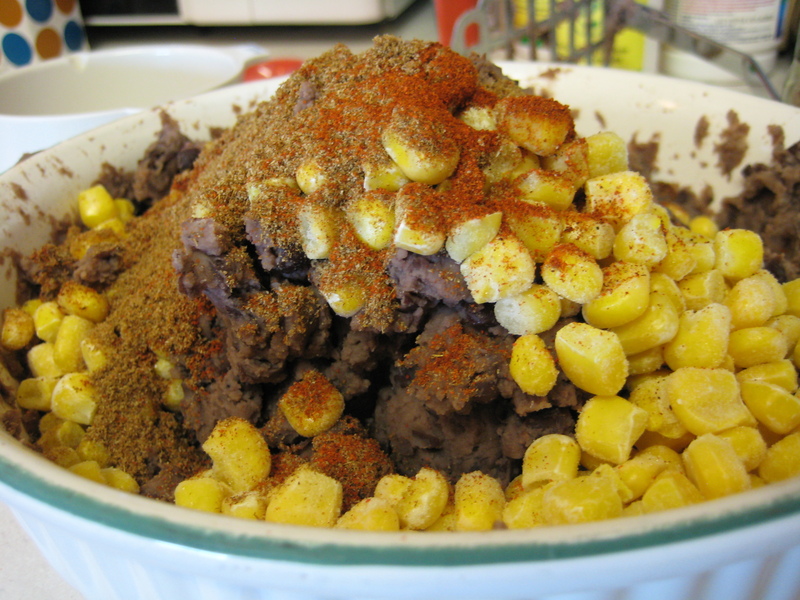 Combine beans, corn, chili powder & cumin in the same bowl and set aside. Spoon 1 cup of the quinoa mixture on the bottom of the baking pan. 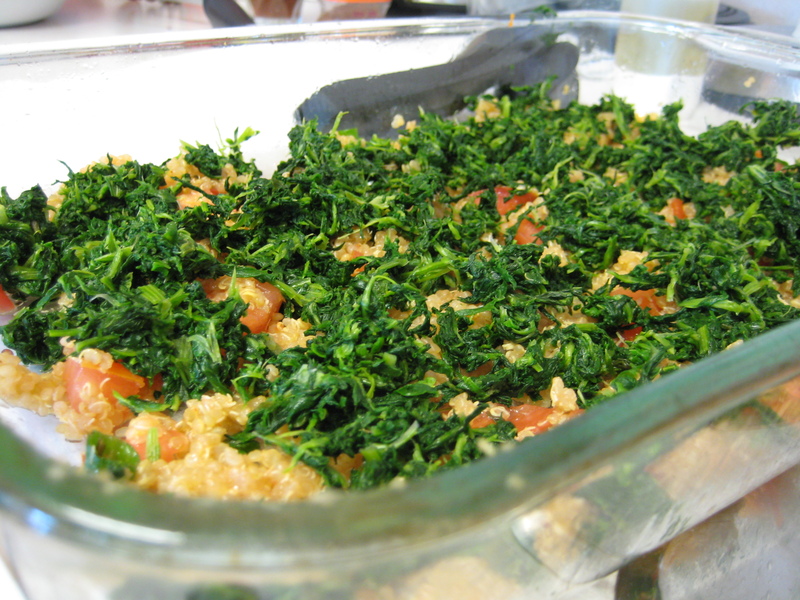 Layer spinach on top of the quinoa. Scoop bean mixture on top. 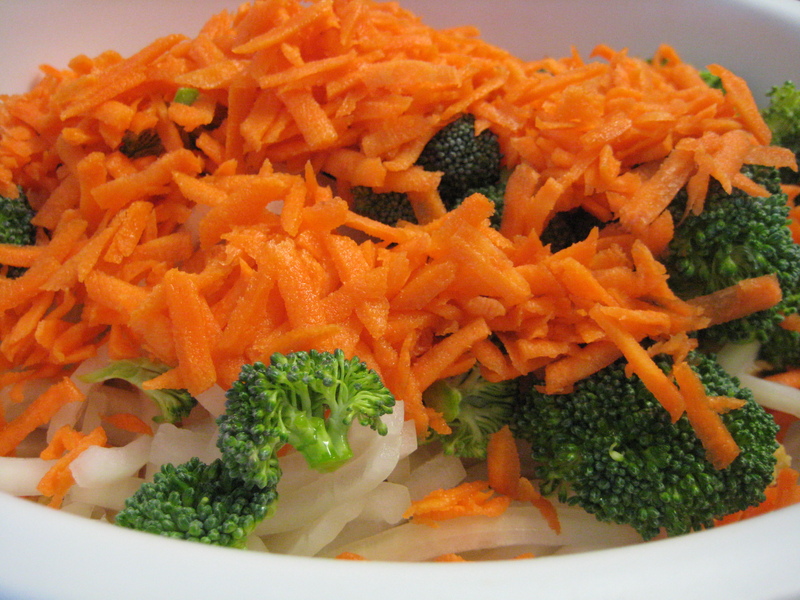 Sprinkle with 1/2 cup of Daiya cheddar shreds. Add the remaining quinoa and top with the remaining cheese. Bake for about 30 minutes until the Daiya has melted. Serve and enjoy!